I owe you all an apology. For months now, I have been reading all your wonderful comments that come into my email box & then replying through that email's thread. It never occurred to me that those replies were not emailed to you but rather only posted on my site (thanks Disqus). I always appreciate it when I get emailed comment replies, and I couldn't figure out why no one ever kept the conversation going. With Disqus, even though I reply by email, the comment goes straight to my blog. So for everyone who thought I was just ignoring their comment, it's not true! I doubt you want to go back & read them now, but they are there. Hundreds of replies that probably never saw the light of day. This changes today. Anyone who enters their email with their comments is going to get an emailed reply (if the comment warrants it). 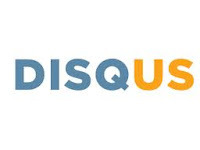 But really, if you don't have an account at Disqus, why not spend 2 minutes right now and make one? They don't spam you and you can upload a pretty picture of yourself. I just switched to Disqus and didn't realize that unless people have a Disqus account, they won't receive my replies. Looks like I'll have to write my own Disqus/commenting post. Disqus (I recommend using it) and my blog are having some comment issues. I get your replies. Actually if a blogger uses Disqus (and remembers to sign-in duh) they get reply updates on the "my disqus" tab under the comment box. So I get notified different ways to a comment reply. Comments are great but conversations through comment exchanges are fantastic. A junk email is a good thing that everyone who spends much time on the web should use. Since emails are free it's easy to do and protects your identity a little too. Disqus didn't come up for me today, it's google again. Wonder if that means it will be your picture by my comment? Anyway - - - I think you pretty much always e-mail me a response to my comments, so it's all good! And, I'm Keetha in case it says I'm you or someone else. I don't use Disqus (I'm a Blogger girl myself) but that's cool that you can email to reply! Blogger doesn't let me do that! I see several of my friends with disqus but I just can't go there......if I have to learn one more new thing, my head will fly off! I do have comment moderation on my blog. It started out because sometimes my adult son would put inappropriate things in his comments, now I'm glad to have it because of anonymous commenters. I really like it a lot. I enjoy getting comments and receiving them. I like hearing different points of view. I like learning from other peoples experiences. AND it's FUN! I tried the IntenseDebate. You were so kind to help me with it, but I couldn't get it to work. Who knows what I was doing wrong!! I have built friendships through replies, and I am grateful for that.